Life as we all know it is sometimes a mixture of good, bad and ugly… at times, all three are wrapped into a single day. The month of June seemed to be just this for us here in Madagascar. Thank you for your many prayers that went out as we traveled as a group to the remote fishing villages of Kalamboro and Mahabana! In Kalamboro, the reception was unbelievable as lines of people formed to give a formal welcome as the helicopter touched down. After nearly five years, it was a joy to return to Mahabana with the original gang as well as the Carlstrom’s and Selah! Our desire with this trip was for the sole purpose to encourage the church and to bring the families to Mahabana. Though the palpable darkness of the village has dramatically lifted, there’s still moments of sabotage and persecution — both of which we’ve experienced in years past as well as in the few short days we were there. of the church but never entered in… that night he died of what was believed to be a heart attack. In the end, if he had indeed come into the church, it would have been “proof” that indeed Mahabana was taboo Jesus and the Bible. Fast forward all of these years, Amina and several of their grown children are working as planters with Eden Projects and Farida, one of their daughters, was the very first zanitany to come to Christ and be baptized in Mahabana! In fact, Farida’s daughter, Jokany and Amina’s granddaughter, who lives in our city is often at our house playing with our kids! On the day were were leaving Mahabana, Amina requested that we take a picture of her with our kids and then with Jamie and I. Following a spark of hesitation, we agreed to the picture but all the while wondering what her intentions were… was she being the grandmotherly matron of the village, having watched our kids grow up or did she want the picture to be used later for cursing? After all, Amina is known as a mpamosavy– an evil witch of sorts. Once we returned from Mahabana and debriefed as a group, our trusted Malagasy ministry partners confirmed that Amina may have wanted the picture for evil– taking it to the graves at night while in a spiritual trance in order to place dangerous curses on us through the picture. This may sound crazy for some… we as Americans tend to view the spiritual realm differently than what others experience here in Madagascar. Regardless, we know that Jesus is above all, that He is victorious, that He conquered death and the grave and that WE . ARE . HIS! Because of these truths, we have no fear but rather we share so that you have an idea of what we face on the front lines of ministry here in Madagascar and so that you may pray! Though we don’t have any intention on printing these pictures, we do plan on keeping the digital copies for ourselves in order to pray of Amina. Please join with us– that Amina would be willing to give up her powerful practice as a mpamosavy, that her heart would turn from ALL evil, and that she would come to know Christ Jesus as her Lord and Savior! You may remember that we’ve been supporting and loving four (now grown) children for nearly 15 years! A few of you have walked alongside us as financial sponsors for Sissy, Clarisse, Vanah and Andry. Thank you! We’re thrilled to share that Vanah graduated high school earlier this month from Vision Valley School– a private Christian English-speaking school in the capital city of Tana… a far cry from where she grew up in remote Mahabana! We’re so incredibly proud of her! The Lord has an amazing plan for her life and we look forward to how it will continue to unfold! Later this year, Lord willing, Vanah will move to California to join her sister Sissy and Clarisse to begin her University education in the United States! Please join us in praising God for his care and plan over Vanah’s life and pray with us as she continues her education! In the last 5+ years that we’ve been in our city of Mahajanga we’ve noticed a steady increase in burglaries. In the last year these incidents have becoming more numerous and serious in our immediate neighborhood often with 5-6 guys breaking in during the middle of the night armed with guns, large knives or clubs. The last break-in occurred two nights ago just two doors down from the maternity center. Though we personally have two guards each night and 4 guard dogs that patrol our property, the possibility of a break-in is always in the back of our minds and a cause for concern. Please pray with us for protection and peace… for us, our friends, our teammates, the maternity center and our guesthouse! Somehow or another, the time has already come for us to say good-bye to Selah, our beloved friend and homeschooling teacher for the kids! She tackled life in Madagascar like a pro when she first arrived in February and has been a blessing to our families everyday since! Selah will wrap up the school year with our kids next week and will leave Madagascar later in July. We’re so thankful that the Lord brought her to this corner of the world… all the way from Trader Joe’s in Santa Barbara– it’s such a remarkable God-story!!! 🙂 Selah will be starting a super cool Human Geography degree program at a University in Hungary in the fall– this girl is serious about living life to the fullest for the Lord! Please pray with us as Selah transitions out of Madagascar and into life and full-time university in Europe! Pray as the good-byes will undoubtedly be hard for us all as she leaves! We’re absolutely thrilled to welcome two new families to the ministry here in Mahajanga in July! Upon their arrival, our team will double with the addition of four adults and six kids!!! Josh and Amanda Jensen and their 3 kids are long-time friends from Santa Barbara and will be helping to run our TongaSoa Guesthouse for the upcoming year in addition to helping with research systems for Eden Projects! Mark and Rachel Bright and their 3 girls are long-time friends from Canada (Jamie and Rachel went to high school together in Kenya) and are also coming for a year. Mark will be assisting with the business aspects of Sarobidy Creations, our artisan program and Rachel, a physician will be helping us launch births at the Sarobidy Maternity Center! Currently both families have moved out of their homes, are ending their work, packing, taking care of all the last minute details, saying good-byes, packing some more and are in the throws of transition out of life in North America for the time being. It’s an overwhelming amount of energy and emotion!! 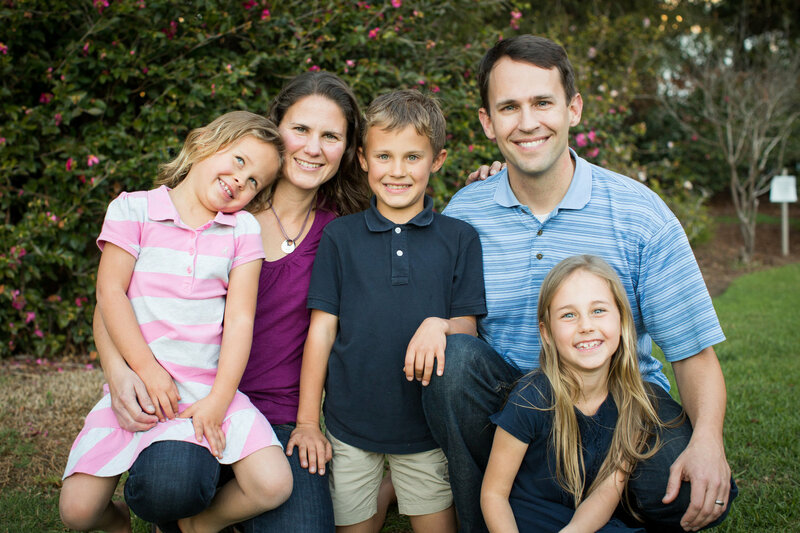 Please pray with us for Josh & Amanda and Mark & Rachel and their combined six precious kids… for attention to detail, for deep peace, for grace in the process!!! God is good and we praise Him for bringing these new families to help with the ministry here! We also know that as new people come, transition occurs as the fabric within our team changes. We ask that you would pray with us for our team… both our immediate American team as well as our greater Malagasy/American ministry team. In addition, please pray for Jamie and I as we seek wisdom from the Lord in how to best lead and support a growing team with growing needs! Of course, $111,000 is no small chunk of change but we know that many hands together make a big impact in the ability to purchase the property and create lasting impact in Madagascar! All donations, small and large and everything in between are 100% tax deductible through our mission organization, WorldVenture. Upon purchase, WorldVenture, a registered non-profit in the USA, and an internationally recognized NGO here in Madagascar will own the property ensuring that the Sarobidy Center property will be used to continue to bless, serve and partner with the surrounding community for generations to come! We humbly ask for your partnership as together we endeavor to raise the full amount to purchase the Sarobidy Center property! Call WorldVenture directly at (800) 487-4224 and ask to speak to donations. Please specify that your donation is to be directed to account #6401-909 and more specifically for the “Sarobidy Center Property Purchase”. Remember, only those donations made on or before August 15th are eligible for a THANK YOU REWARD! Rewards will be sent towards the end of 2016! All donations are so incredibly appreciated and as always, are 100% tax deductible! We’re so thankful for each of you as you stand with us, pray with us, and financially partner with the work in Madagascar… throughout the good, the bad, and the ugly!